WDP & Associates was founded on the award-winning expertise of the firm’s Principals and Associates in the field of forensic structural engineering. Building upon advanced engineering degrees and years of experience, WDP’s staff continues to conduct research and analysis of structural material properties and structural behavior. This knowledge is applied on our projects and in the development of building codes, industry standard test methods and guidelines through our participation in industry organizations such as ACI, ASTM, ICRI and TMS. WDP’s depth of engagement and experience in failure investigations provides valuable knowledge, insight and lessons learned, which we are able to apply to our peer review and expert witness services. WDP has served as an expert resource for structural engineering problems, particularly in the areas of corrosion and non-destructive testing. Nondestructive testing (NDT) is a powerful set of tools used by WDP engineers to determine the existing conditions of the structure in question and predict past and future conditions of that structure. 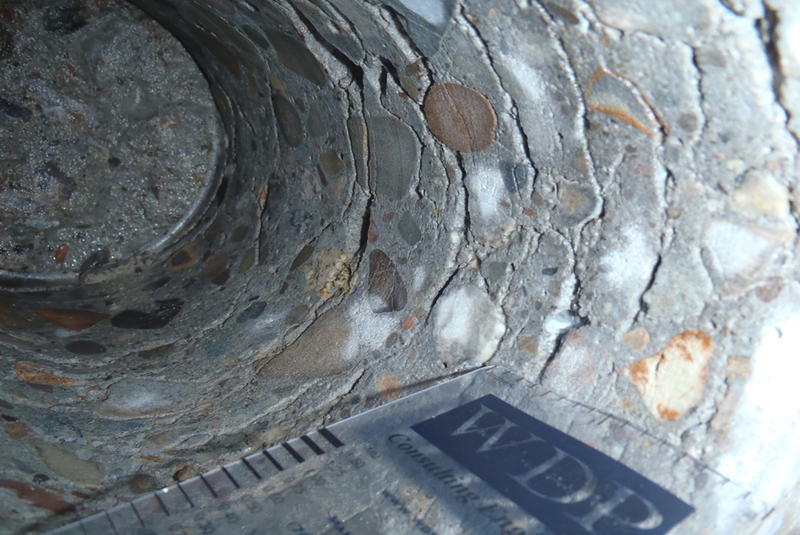 WDP has developed extensive expertise in NDT, especially relating to concrete and masonry, in order to gain an understanding of the existing conditions of structures. NDT is used to gain vital information at the least cost and disruption to the client. WDP’s structural forensic experience encompasses structures of all types – buildings, bridges, parking structures, tanks, marine structures, tunnels, culverts, retaining structures – and also specialty structural systems, such as scaffolding, and hoist structures. Determining a structure’s viability for purchase or repurposing. “No one does a better job on forensic analysis and structural design..."